The annual Chemistry Olympics took place last Friday, April 21, in the St. Joseph Science Hall. There were 14 teams participating, which totaled to about 60 students from eight high schools. Dubuque’s very own Senior and Hempstead High Schools were joined by schools across the Iowa-Wisconsin border such Potosi, WI, and even a school from Muscatine, IA. These bright students spent the day on Loras’ campus participating in a variety of competitive chemistry games, as well as touring the science hall. Tours included the Robotics and 3D printing labs, the Neuroscience Rat Lab, and the DNA Lab. The tours highlighted the science program, but the focus of the day was the Chemistry Olympics themselves. These events included a density race, an acid-base titration race, a solution identification race, chemistry jeopardy, and a game medley. Sophomore Reilly Kuhn, one of the main organizers of the Chemistry Olympics, considered the game medley to be her favorite part of the day. photo by Audrey Miller. High school students compete at the 2017 Chemistry Olympics. Dr. Adam Moser of the chemistry department echoed this observation that the students seemed to enjoy the day and was glad to see that the day was such a success. 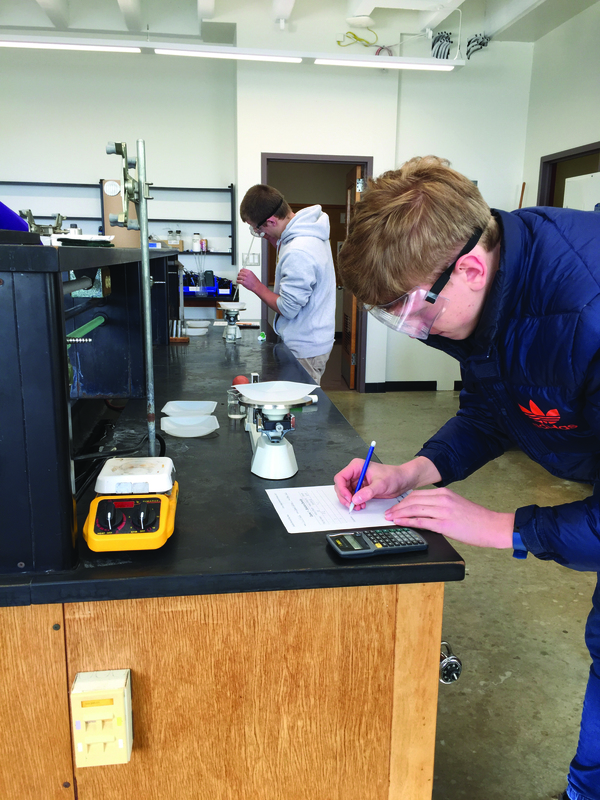 “I think the event is a great outreach opportunity for the chemistry club, and a fun event for the high school students,” he said. Making sure that the students were having a good time was one of the most important goals of the day, as students can often put pressure on themselves to perform well in academic competitions. Stakes were high, as the winning team received a scholarship complimentary of the Loras science department. However, the fun and knowledge to be had during the Chemistry Olympics generally outweighs any short-lived pressure during the actual individual competitions. However, this event would not have been possible without all the dedicated people to set it in motion. Loras students Kuhn, junior Ben Al-Bazboz, and seniors Josh Schulte and Abigail Kirchner of the Chemistry Club worked hard to get this event underway. 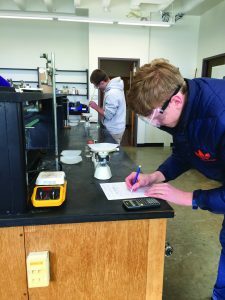 They began reaching out to schools and organizing the 2017 Chemistry Olympics last fall. Many additional students stepped forward to volunteer with the games, making the event possible. High school teachers who brought their students were grateful for the experience. The 2017 Chemistry Olympics were the largest Olympics the club has seen yet, with about double the amount of students that attended last year. The day was a huge success, and many of those involved believe that this annual event will continue to grow in the years to come.